"The Flower of War" tells a genuine story of hope, love and sacrifice. 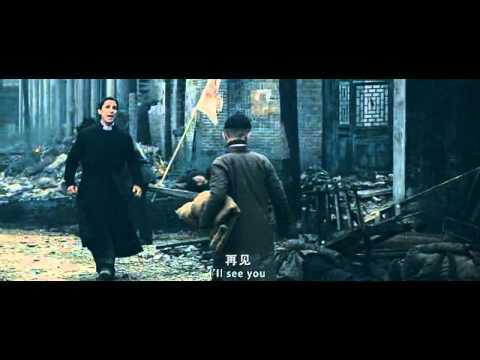 Set in 1937, Nanking stands at the forefront of a war between China and Japan. As the invading Japanese Imperial Army overruns China's capital city, desperate civilians seek refuge behind the nominally protective walls of a western cathedral. Here, John Haufman (Bale), an American trapped amidst the chaos of battle and the ensuing occupation takes shelter, joined by a group of innocent schoolgirls and thirteen courtesans, equally determined to escape the horrors taking place outside the church walls. Struggling to survive the violence and persecution wrought by the Japanese army, it is an act of heroism which eventually leads the seemingly disparate group to fight back, risking their lives for the sake of everyone. With nowhere to run and nowhere to hide, fate always has a way of bringing the most unlikely heroes together.